Schnurmann House is located on six beautifully landscaped acres in Mayfield Heights, only a minute away from I-271. 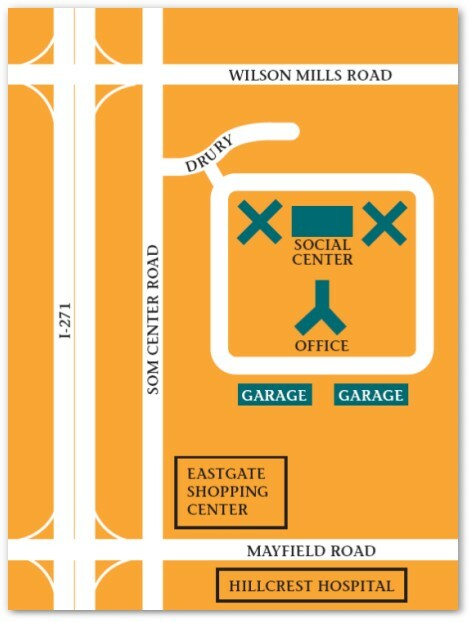 We are conveniently located next to Eastgate Shopping Center. Shopping and other services are well within walking distance. We are also just around the corner from Hillcrest Hospital.